You might be surprised to know that there is one day in the year that is entirely dedicated to remembering and celebrating our domestic radiators! In the UK each year thousands of people buy radiators and have them fitted into their homes, in the knowledge that these handy and necessary devices will keep them and their houses warm and toasty. These heating systems have come a long way and you only have to look back a few hundred years to see that radiators were nowhere near the same as the used to be. Heating systems were very different and it took a long time to truly hone the design and features of the radiator we know today. The radiator, like many of our home features, was born from very humble origins indeed! Heating has evolved beyond recognition when compared to the days when humans were cave dwellers and used sticks to hunt food. There are a number of different cultures that have contributed towards the evolution of home heating, and it started around 420,000 years ago when basic hearths were being used in what we now call modern day Ukraine. These hearths were made from the bones of Mammoths and featured a grass-like roof. These pods were very useful back then because they were mobile and could be used to accommodate a fire, thus keeping the people warm. In another part of Europe the Romans were also coming up with their own form of home heating and were credited with the invention of the hypocaust. This heating system was used for heating public bath houses and other buildings and establishments. The system consisted of hot air and smoke which emerged from a furnace and was being circulated through an indoor area under the flooring. It would be accurate to say that this was perhaps the earliest form of underfloor heating! This system required constant attention and a constant supply of fuel in order to keep the fire going. There was smoke and warmth would travel under the surrounding rooms and would pass out through flues in the walls. This early example of indoor heating, clearly demonstrates that the Romans were onto something; they understood the fundamental principles behind heat transfer systems and understood the consequences of forcing heat through the hypocausts. Most if not all of us are aware of twitter hashtags and how they can be used to start campaigns and shed light on important movements. Well the #LoveYourRadiator campaign which was launched by the MARC (Manufacturers Association of Radiators and Convectors) who asked for consumers-people like you and me- to take a selfie with their beloved radiators in the days before the big national celebration. It sounds completely bonkers and you might be thinking: What on earth would I want to take a selfie with a radiator for? But come on! Our radiators deserve a good old hug and for them to have their picture taken. Besides there are days for other bizarre things such as Ed Balls Day, which features hash tagged pictures on twitter of the politician with various funny expressions etched onto his face. A celebratory day and a dedicated hashtag is a lovely idea in order for us to all show our gratitude to our domestic radiators which heat and warm us and our homes. Remember, these are the devices that dry our clothes when they are wet, and they also warm our towels and our shoes when it’s been raining outside. What would we do without our radiators? Our homes would be frosty, uninviting, huts as opposed to welcoming, warm caves where we rest our feet, dry our clothes and keep us cosy. What Is National Radiator Day? We’ve never really seen days dedicated to our appliances and electrical devices, never mind our heating systems! It’s an interesting concept and one which requires a little thought. Imagine if we took the time to celebrate the things in our household; things that make our lives that little bit better. Like our cookers, or our fridges? These are all things we wouldn’t be able to live about and they certainly make our lives easier! If we didn’t have cookers in our homes how would we heat our frozen food, or anything at all? Or let’s think about our fridges. Many of us have dairy products and without a fridge we would have nowhere to store them! Technically we should celebrate all of our appliances and devices, because they truly do make a huge difference in our lives. However this is not what this article is about so let’s focus on our radiators. So what is this special radiator day all about? And why does it need a whole day dedicated to it? Well National Radiator Day will be here on November 1ST and its purpose is to cast some much needed light onto the brilliant work that our central heating and radiators do every winter during those chilly months. When the weather takes a turn for the worse and its miserable and cold, our radiators are there to keep up warm and make us feel cosy and relaxed. Many of us take our radiators for granted and we really shouldn’t! Imagine if we didn’t have radiators in our homes, how cold, chilly and uninviting our homes would be? Imagine tossing and turning during those icy winter nights because it’s so cold you literally cannot get to sleep? This are some of the issues our radiators take away, and for that we should be eternally grateful! Reports conducted by MARC tell us that there are over 190 million radiators being used in UK homes every day, which is such a huge amount. Clearly, these devices are our favourite heat emitters and if they are, why should they not be appreciated and celebrated for their warmth, durability and style? In the past 40 years there has been a huge transformation in the way radiators are made and of course the way that they look. So it simply makes sense that they should have a day in which to bask in the warmth of our appraisal and gratitude. The 1970’s era was the time when central heating systems were introduced into homes in the UK, which made it a revolutionary time in the journey of the home heating system. However by the 1980’s, radiators still only served as a functional product and were not stylish products: basically they had a job to do and that was that. Although there were no designer radiators around this time the 1990’s saw the introduction of something which would make our homes look quite different: the radiator cover. These decorative covers hid radiators- and why wouldn’t they? The radiators of the 70’s, 80’s and 90’s were very plain and simple, and although they did their job, they were not seen as things that enhanced a living space at all. 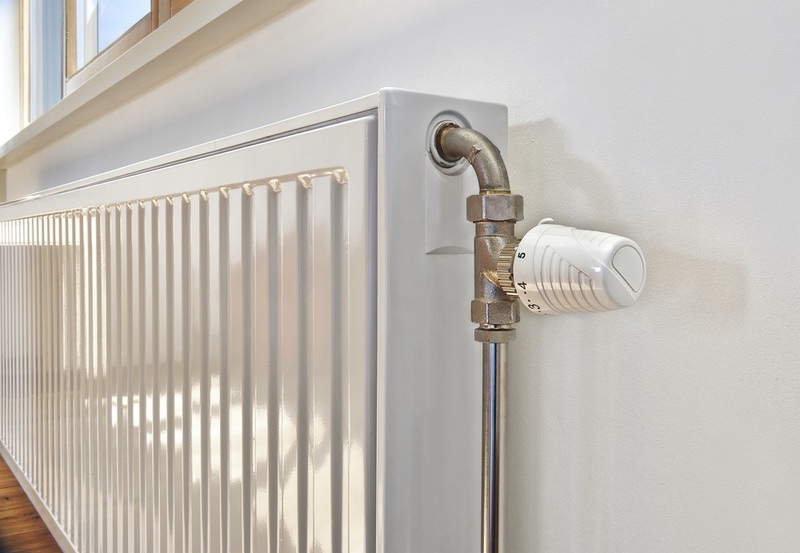 However this was all set to change by the time the millennium arrived and in the 2000’s, the humble radiator was elevated from simply heat emitter to being something that was an intrinsic part of the overall room design in our homes. Radiators no longer needed to be hidden, kept out of sight, away from guests and prying eyes. Now they could be flaunted and used to enhance the living space in a way that was stylish and wonderfully chic. Radiators could also now be fitted to suit the size of the room and were available in curved and horizontal. People also got vertical radiators as these fitted many sized rooms in a lot of homes. Basically radiators have come a very long way from the banal heated boxes they used to be. 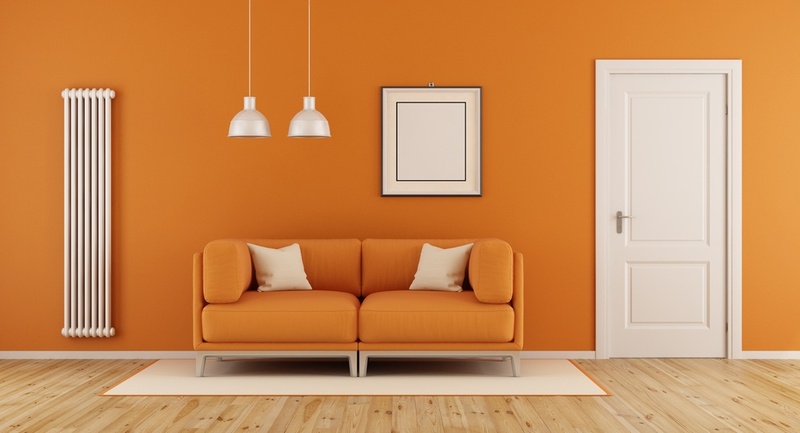 There is now a wealth of style choices when it comes to radiators and they range from modern to traditional. Radiators can really change the overall look of a room and it’s amazing what you can do when you choo se the right style for your home. On the surface radiators look like hunks of iron, steel or aluminium, but they are the most cost-effective ways of heating our homes. They cling to the walls of hundreds of thousands of walls in the UK and they honestly last a lifetime if you take good care of them. So in aid of National Radiators Day grab your selfie stick or phone and get a snap taken with your radiator. As you can see National Radiator Day is a very important time of the year, because it prompts us to take care of our heating systems and remember just how special they are. National Radiator day should be seen for it is as a celebratory occasion when we all come together through social media and other avenues, and acknowledge just how far home central heating has come. This entry was posted in Radiator, Vertical radiators on May 12, 2017 by Sam. Traditional Versus Contemporary Radiators – How Should You Decide Between Them?